The garrison temple is characterized by a complex spatial form, which complicates the installation process. 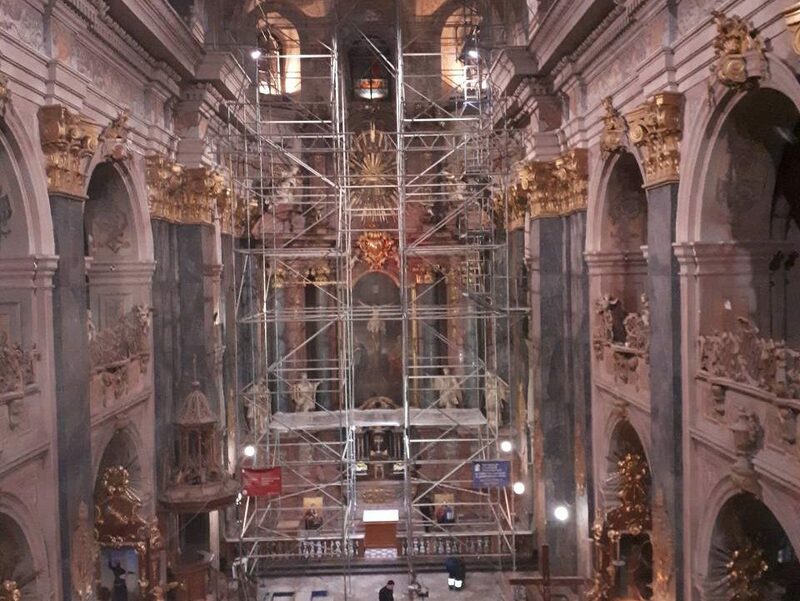 The main difficulty of the work was to install a modular scaffold without the use of fasteners, which allowed maintaining the integrity of the church. In the process of restoration work, modular scaffolding is used. The construction maximally repeated the contour of the ceiling, which provided comfortable conditions for the work of restorers.